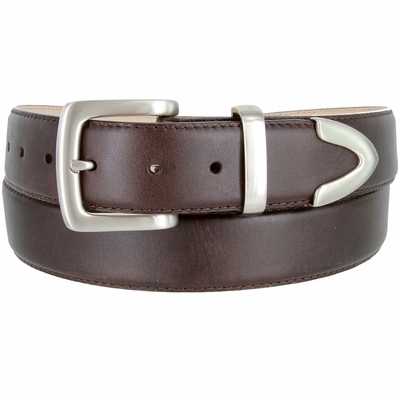 Men's Smooth Leather Dress Belt with Brushed Buckle Set. Comes with Snaps for Easy Buckle Change, Stitched Edges, and 7 Adjustment Holes. Brushed Gunmetal Buckle Set and Tip.